Pranayama is a collection of ancient Indian breathing exercises that I return to almost everyday. Prana in Sanskrit means breathe, spirit, life-force, vitality, vigor, and energy. Pranayama is the art and science of experimenting with inhalations, exhalations and retentions of the breathe in order to create relaxation, energy, or balance. The more oxygenated we are, the more receptive we are to qi, prana and reiki. When we work with our breathe, we’re reorganizing our subtle body. Our chakras balance, and nadis clear resulting in a stronger auric field. Alternate nostril breathing balances the two hemisphere of the brain so that we can balance our logical and analytical mind and step into our intuitive side. Using these exercises before meditation brings my mind to a relaxed yet alert state so I can lean in to hear what my soul has to say. As we observe our breathe, we learn about our true nature. We discover our infinite potential and we can tap into our Highest Self. Pranayama increases blood flow to the brain and endocrine glands. It activates the parasympathetic nervous system and the relaxation response. 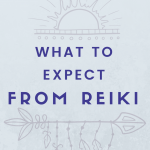 When we allow for a relaxation response, we are better able to surrender and let reiki flow through us for the highest good. Pranayama helps us see where we hold tightness in our bodies and then choose to breathe through it. Over time, we can create more space in our hearts, shoulders, and areas where we once stored difficult emotions. The more space we create, the more life-force energy we can call in and channel. Pranayama helps us get into a meditative state which is ideal in order for Reiki to flow through us. Pranayama helps us witness the vrttis and the ego and become an observer of the mind. 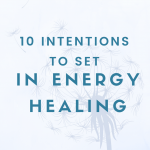 Similarly, it helps to be a witness to Reiki and remember that we are a channel for this energy. We don’t control it or the healing it creates just as we cannot control the vrttis or the ego. Diaphragmatic breathing improves digestion and elimination. It balances respiration, heart rate, and immune function. Without ease in our physical body, we cannot fulfill the highest potential of our dharma. Pranayama creates vitality and energy so that we can serve and share Reiki. As we consciously move the breathe through us, we are also moving emotions, perspectives, energies and thoughts that don’t serve us. Pranayama helps to release and transmute the old from our beings in order to create space for Reiki. Ujjayi pranayama is a specific pranayama that I like to use during reiki. The breathe is used as an anchor in order to help us return to the present. Do you practice any breathing exercises before your Reiki practice? Let me know! I practice alternate nostril breathing, kapalabhati pranayama, and ujjayi pranayama the most frequently. Stay tuned for more posts on pranayama.